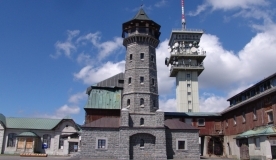 The exposition of the Museum of National History Boží Dar shows the history of the highest town in Central Europe. The museum is housed in the same building as the town council and tourist office. There is also a Baby Jesus post office.